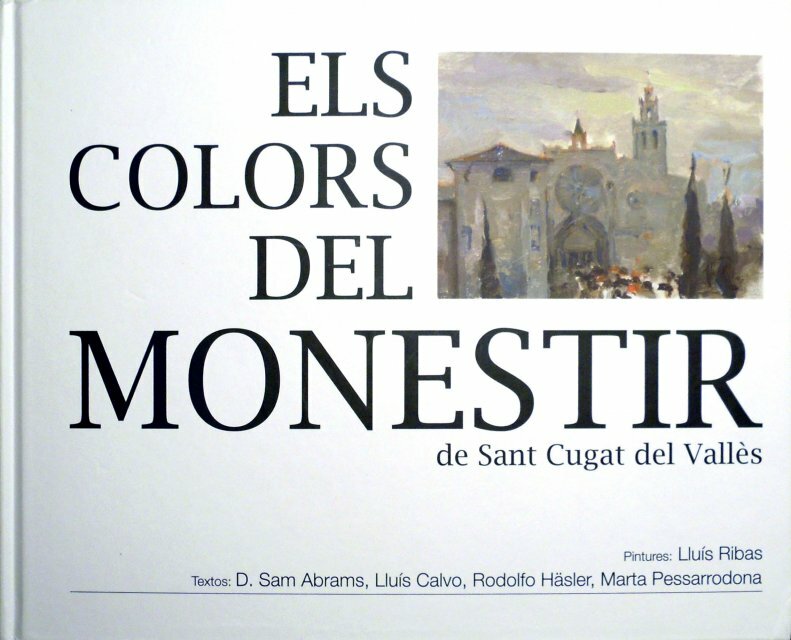 As part of my “Arte solidario” project, a book has been published entitled: “Els colors del monestir” which reproduces 20 small works portraying the Royal Monastery of Sant Cugat del Vallès. 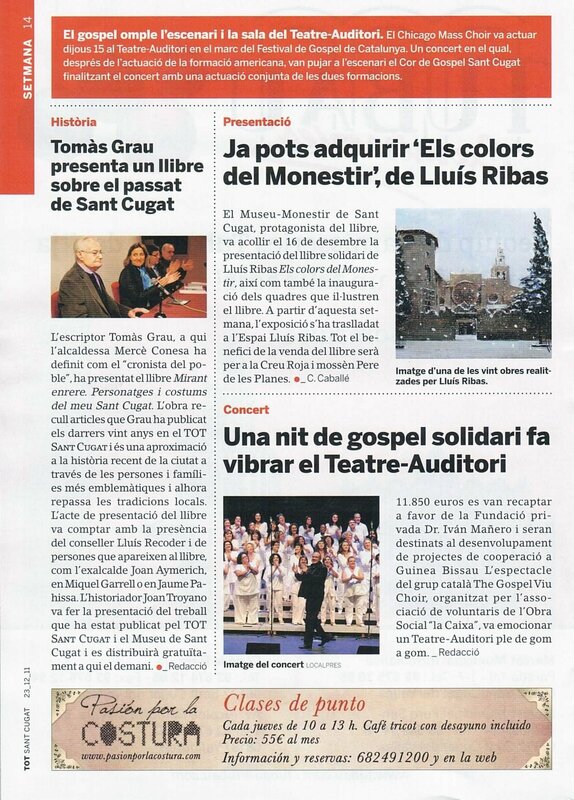 The texts have been donated by: Sam Abrams, Lluís Calvo, Rodolfo Häsler and Marta Pessarrodona. 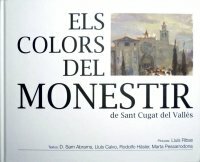 The proceeds obtained from the sale of this book will be delivered in full to the Red Cross in Sant Cugat and to Father Mn. 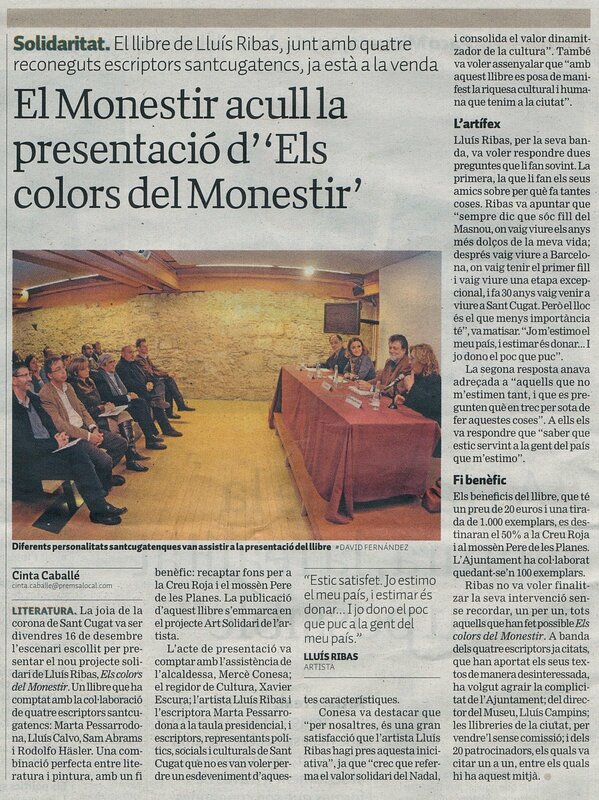 Pere de les Planes.